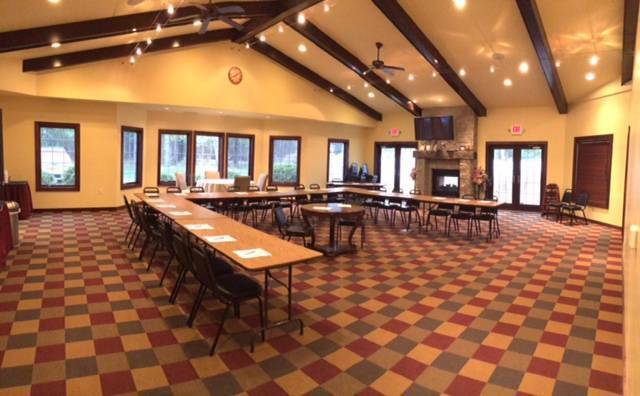 The Clubhouse at Sunset Shores Resort offers a comfortable meeting space for up to 50 guests. 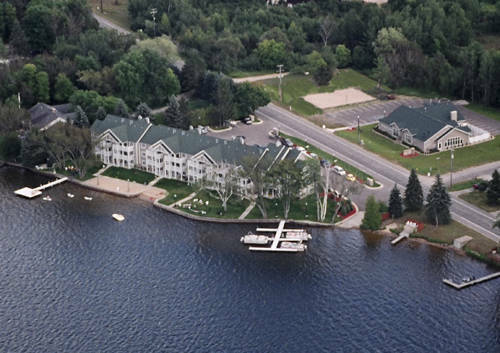 The resort is a beautiful 24 unit condominium complex on the south shore of majestic Lake Cadillac. 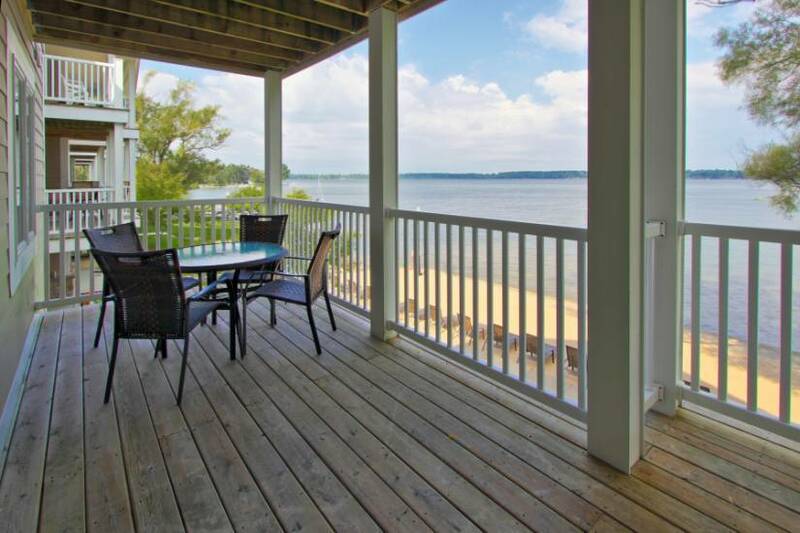 Nightly, Weekends, Weekly and even monthly rentals are available. 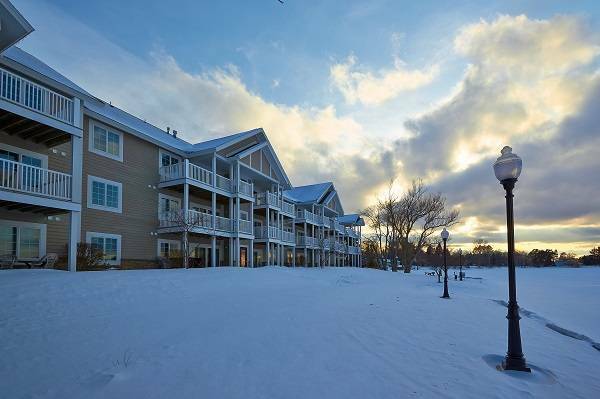 Enjoy a peaceful 2 or 3 bedroom unit with a gorgeous view of the lake from your private balcony or patio. 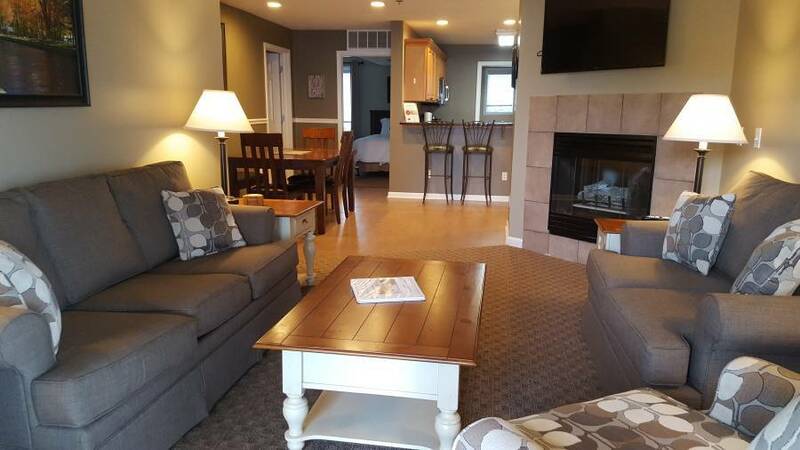 Each unit also has 2 full bathrooms and a fully stocked kitchen. 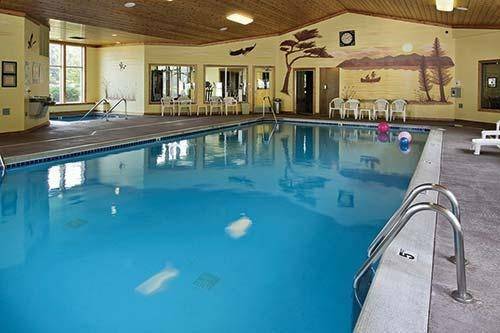 Don't forget to enjoy our clubhouse amenities such as a heated indoor pool, spa and steam room. 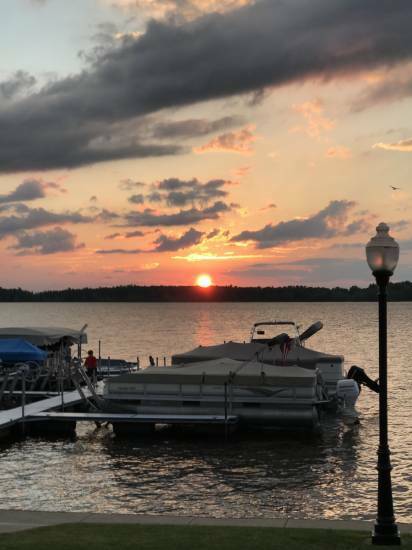 Outside, enjoy private docks and boat launch, sandy beach, beautiful grounds and plenty of parking. 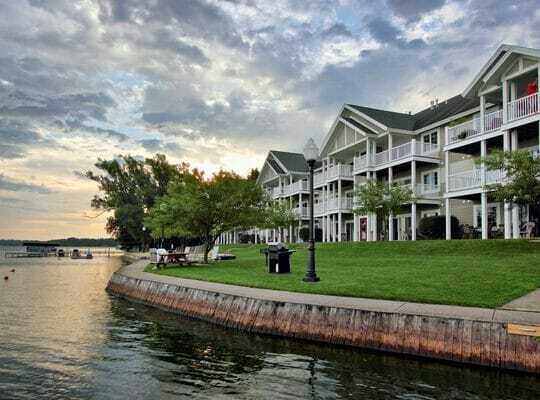  Sunset Shores Resort is also directly on the Cadillac snowmobile trail, bike path, color train and minutes from area restaurants and shopping.